Also, checkout The Top 10 Acne Products of 2010 List!. A little biology lesson for you… did you know that when a baby chick is forming in the shell, there is a “skin” that is formed on the inside of the shell to remove impurities from the egg. So why not let nature do its thing and draw the impurities out of our pimples?!? See you later zits! 1. Crack open an egg and remove the egg white and yolk. 3. Put the skin right over the pimple. 4. Continue removing the shell’s “skin” and placing on your face until all of your acne is covered. 5. Let the egg’s “skin” work on your skin for 15 minutes. 6. 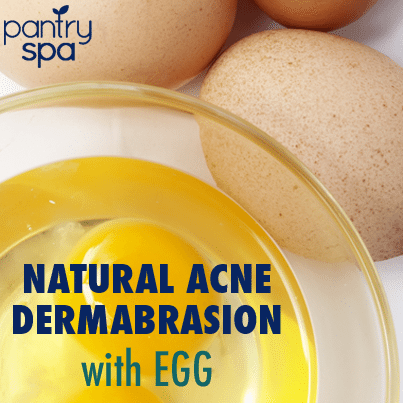 Peel the egg’s “skin” off of your face and see the impurities go with it! 7. Make sure to moisturize well after this (since it is a dermabrasion treatment). it worked! i had this one huge pimple on the side of my nose and now its been reduced to less than a fourth of what it was. thanks! ok i dont have a lot of pimples i only have 2 but i want them to go away do u have to do that everyday for 15 mins or just for 15 mins and itll go with it ????? Everyone reacts differently… but my pimples are greatly reduced even after just the first 15 minute treatment… but you can repeat daily to make it go away completely even faster! there not enough egg skin to cover up all the acne, and its very hard to make it stick it to my face, plz what do i do. Hmm… Sonds kina scary…. Do your pimples just “peel” off and go on the egg skin? Because I do NOT wanna see my pimples from the inside!!!!! But I’ll still try. Lalalover – No, you will not “peel” off the pimple and see the inside… hehe but if you are worried, just peel it off and put it directly into the garbage can. Ali – Regarding not having enough egg skin… you could always use multiple eggs if you have lots of acne. I also find that carefully removing the egg skin with tweezers helps to get large sections. You should put the egg skin onto your face as soon as you remove it from the egg, because that will help it to stick. If you still have problems, dab a little water around your pimple to help the egg skin adhere. how do you get the skin out of the shell? do you just peel it off? of is it like hard to get off? is it all in one piece or does it kinda like chip off? can the egg skin stay on your face? i have one zit that BOTHERS me! and i have a date tonight! okayyyy…maxbee kindaa weird but i can feel it workinqq im actuallyy doinqq this right noww… at first i honestly thought this was weird but hope its worth because i really have a crush on this boyyy -thanksss!!! wow.. im doing this RIGHT now and I feel it working!! I hope this works since it’s THANKSGIVING and I have 2 pimples that are driving me CRAZY!! Am I going to cook the egg first? And shall I peel the ”shell” of with my fingers, or shall I rinse it of with water? Martine – no, do not cook the egg first. You crack the egg open into a bowl (and you can cook the egg white and yolk later). Then you carefully peel off the Egg Skin which is found on the inside of the egg shell. I am putting a video together to show everyone how to do this, so hopefully that will make it even more clear! Does this only work with hard boiled eggs? No Kyle – you do not cook the egg first. You crack the egg open into a bowl (and you can cook the egg white and yolk later). Then you carefully peel off the Egg Skin which is found on the inside of the egg shell. Hope it works well for you! Should i wash my face after this: 6. Peel the egg’s “skin” off of your face and see the impurities go with it!? When I peel of the “skin” I can apply it to the zit with eather side of the “Skin” Or does it have to be the side that was touching the yolk & whites?? can I reuse the white that was not used? can I put it inside the fridge? Also, how many times should I use this per week? Do u have to cook the egg? Do u use the shell or yolk side of the ‘skin’ ? Nope, you do not cook the egg. The egg skin is attached to the inside of the shell. Hope that helps! Which side of the skin should be the side touching your face? The side that was touching the egg shell or the side that was touching the egg yolk? MJF – I usually use the side of the egg skin that was touching the egg white / yolk because it sticks to my skin better. However, I think either side would work! Hey. I have a lot of pimples.. I will try this technique after this post. But, I have a question : “The reduction of redness will last forever or only for a few minutes / hours ?” Thanks ! Emanuel – it varies based on the person. Some people have their redness go away forever from the treated pimple, and other people may need to repeat it over several days. Good luck! I have a question. After u crack the egg and take off the york and everything. Do i need to wash the inside before peel out the skin to put it on my face? or just peel it off with the left over york on the egg skin and put it on my face with the york? hi, which side do you paste on your pimple? the side that touches the shell? or the side that touches the egg white? thanks. Gonna try this, just in time for Valentines day!! I been drinking just water all week and my skin is looking great, I think this should do the trick on whats left before the big night out. Gud luck! Lol hope it works for me too! thank you soooo much! this is amazing! i had a horrible breakout and now its not that bad, it took away pretty much all the redness! OMG…crazy!!! I just pulled off the egg skin and (not to sound gross), but an entire pimple came off with it too! omg it was gross, but amazing! This works incredible for whiteheads too. Instead of squeezing them, do this! Hi, I have several questions question, Should I wash my face before? After I take off the egg skin, should I wash my face?, Can I mix it with any other products to wash my face? which side of the skin? the inside or the outside? OK, I’m a 40 year old mom who tried this not long ago today… IT WORKED! Just peel the skin off the egg shell and slap it on your face. Leave it alone for as long as you can. I think I may do it again today before getting ready for NYE!! How long do we keep on doing this?? Like every 5 hours or something?? Should I wash my face after removing it from my face? It’s not that complicating people. I feel sorry for the admin on here answering some of these questions! This is awesome you can feel it working and you can see the results, why don’t more people know about this? Do i need to directly wash off my face after removing the egg skin or first moisturize it and then wash it? I want to try this out! I have heard that eggs can whiten your face though.. I have a tan skin tone, as i am half filipino and half mexican. Will this whiten certain spots of my face causing an uneven complexion? I just tried this, I admit I was skeptical at first. You can definitely feel it working, but its also definitely a very temporary “fix.” At first it reduced the redness of my pimples, im guessing by drying it out, and i was so excited something actually worked! but as soon as i applied moisturizer to my face, the redness came right back. I tried what it was said just half an hour ago, but when I opened it after 30 minutes (I thought the longer I take it off, it would be much better), my zit became smaller but however it became red and dark purple :O Is it because of my skin type or did I take it off too long? please answer, I have to go somewhere tomorrow morning and I don’t want to embarrass myself. Hey, I Have chickenpox scars on my forehead . Will they get bit rid off If I use dermabrasion with eggs? and , Do I need to first boil the eggs and then crack it and take out the peel? Or should I not boil them and directly crack and take out the peel, bcoz then It would be very sticky and impossible to take out the peel without boiling the egg. Please reply! thanks.!! Thank you very much! finally i have found a solution!!!!!!! it peeled of my dark skin as well! thank you!